Paros Island is considered one of the best destinations in the beautiful Cyclades to spend your summer holidays in the sunshine. History and tradition meet modern and cosmopolitan lifestyle on this beautiful Greek island which thousands of visitors and celebrities return to year after year. 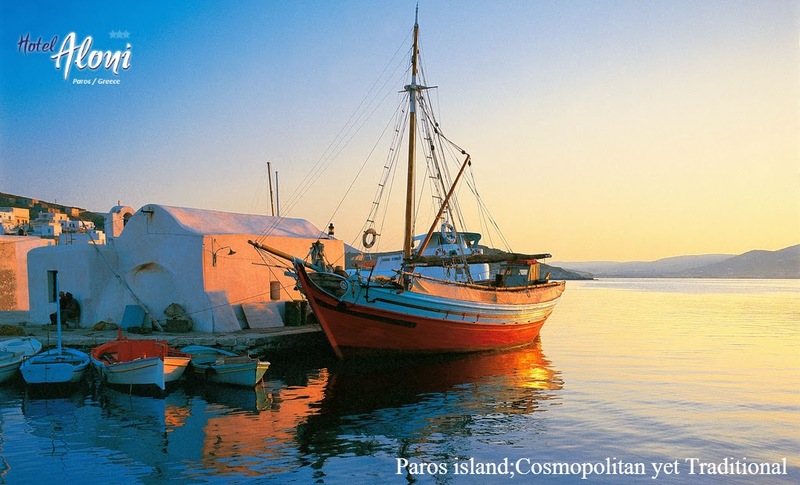 Paros Island welcomes you from the moment you arrive at its port of Parikia. The capital of the island maintains a charming, traditional style. The picturesque small port and the whitewashed houses, built in the traditional architecture of the island are the first things to impress you. Paros is a modern town to visit any time, day or night, filled with busy shops, bars, restaurants and tavernas. On the other hand, if you walk around the island you will find lots of archaeological sites and historic monuments. The church of Ekatontapiliani (the church with one hundred gates), close to the port is one of the most important Byzantine monuments in the whole of Greece. The Archaeological Museum, also in Parikia, hosts exhibits dating from the prehistoric period and gives great insight into island life. While the Monastery of Loggovardas, built in 1638 and just a few kilometers from Parikia is well worth a visit on your way to the Venetian Castle, another highlight of the Paros coastline. Paros is also world-known for its many beautiful sandy beaches; Pounda Beach, Golden Beach and Kolibithres are more popular for their vibrant, bustling beach bars and water sports. If you are looking for something more quiet and private, beaches such as Piso Livadi and Lolantonis Beach are perfect, or you can simply find your own quiet cove with a little exploring and spirit of adventure. The island of Paros might be best known as a romantic getaway or party destination, but its ‘alternative side’ will certainly impress you too. It retains its classic, elegant Greek atmosphere with its white houses, beautiful gardens and small yards filled with colorful flowers, small tavernas and ouzeries (ouzo bars). These sit happily side by side with famous bars, clubs and chic restaurants making it a very vivid and cosmopolitan spot for all ages. Which one of Paros characteristics fits you? Fortunately, you won't have to choose because Paros island combines both! Book your stay at Aloni Hotel Paros﻿ and explore its secrets!